Logistics: Amazon.com and eBay are great companies that depend on the U.S. postal system to serve their customers. I sell my own books online in U.S.; once a buyer makes payment, I drop the book off at the post office to close the transaction. In Africa, it’s more complicated with nonfunctioning postal systems. Online businesses operate delivery motorbikes, which increase the cost of doing business there. This factor has also shaped my perspectives: indeed, anyone running an ecommerce business in Africa should see it as a business that goes beyond web-based digital business to a meatspace one (i.e. physical). At the end, I told the team to go and build a new business model for a logistics company because indeed their success will be largely dominated by logistics and not just on what happens online. That your business receives customers online does not mean it is a web business. What really matters is where the cost elements are. For this particular ecommerce company, the business is simply a logistics firm, as far as cost is concerned. So the question is thus: how do we manage this logistical challenge, a big issue that drains our growth capacity and eventual profitability? We do not have a good postal service which means that we are expected to build logistical solutions to drive our ecommerce operations. 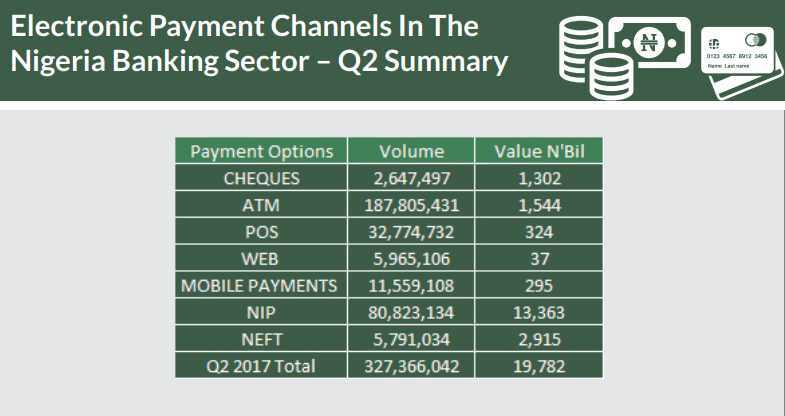 It is refreshing to note that digital platforms are doing well in payments across the continent. In Nigeria, according to government data, both web and mobile payment channels are growing. This means that people are ready to shop and pay online. The hurdle now is how to cost-efficiently deliver the items to their homes and offices. What A Startup Can Do? This is not easy but I do think the best roadmap to deal with the logistics issue is to partner. Partnership will make distribution of items easier. The ride-hailing companies like Uber, Little Cabs, Max Go, and Taxify are good examples for any startup to partner. Walmart already does that with Uber in selected locations in U.S. The advantage is that by modifying your business process, you can work with companies like Uber to make the delivery without necessarily incurring additional costs of buying motorbikes and employing people. It may not be easy to execute this seamlessly. My recommendation will be to start with some selected items and then expand the offering. There are things your own delivery man has to do, and there are items you can use Uber. Working with MAX Go, an on-demand motorcycle transportation company, may even work out better than Uber. An entrepreneur needs strategic partnership in this space to reduce the assets burden associated with logistics while managing a potential customer experience problem. The challenge before ecommerce founders is huge with our non functioning postal systems. For us to see growth and profitability, finding a way out of this quagmire will be strategic. I had envisaged the community coming together to share logistical infrastructure to reduce capex. But that may not happen anytime soon. So, the roadmap is simply for any player to find one of these ride-hailing transportation companies like Little Cabs, Uber and Taxify and strike a deal to help deliver some items. That may not be perfect due to potential customer experience problems. Sure, but I do know that what we are doing today will continue to put pressure on founders to keep raising money in a problem that is a continuum. There is no inherent scalable advantage in the near future that will benefit logistics in major African cities. That you have covered Ikega does not mean that you have fixed Festac (both in Lagos State, Nigeria) when you decide to support customers in Festac. So there is a non-zero marginal cost to expand to serve a new customer in Fastac despite covering all potential customers in Ikeja. It makes the economics harder as growth requires more capital from one city to the other. Outsourcing logistics will free that cash, and that will make your ecommerce business a super asset-light operation.